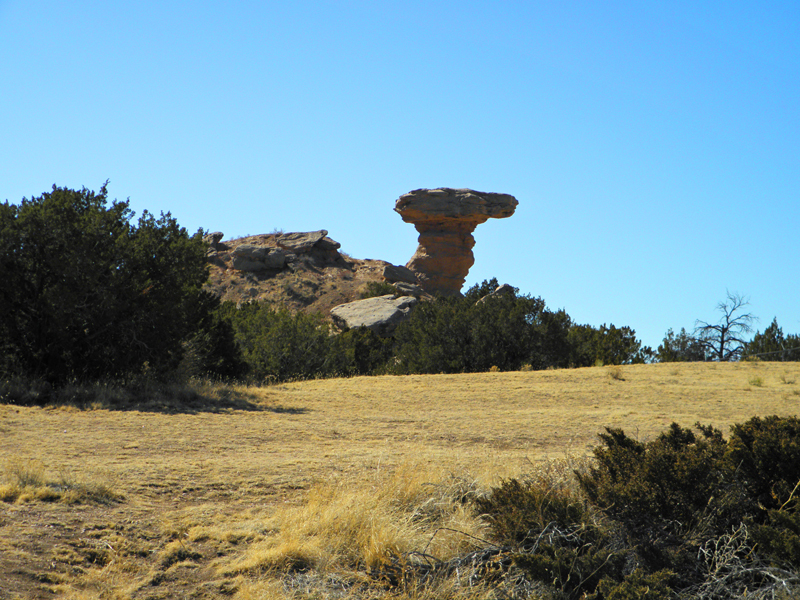 Los Alamos Daily Photo: Does This Rock Formation Look Like a Camel? Camel Rock is found along side the U.S. 285 north of Santa Fe on Tesuque Pueblo. Lots of people have taken photos of the rock formation. Many years ago, you could climb around on the rock. The Pueblo closed the rock to climbing due to tourist cause erosion. I think it does a little or maybe a dinosaur!